The ACT is one of two main tests you may be currently be considering as you prepare for college applications and the next stage of your academic career. The ACT has long existed as an alternative to the SAT. As such, you likely already know that taking this exam is an important part of your future college applications. While the SAT has become the mainstream option for today’s colleges in terms of determining your eligibility, the ACT is quickly catching up in terms of prominence. Additionally, due to its slightly different content and scoring, you may find this a more viable testing alternative. The ACT splits off into four distinct sections: Science, English, Reading, and Mathematics. This page will cover all information pertaining to the ACT English exam. You may find that the English section of the ACT functions quite similarly to other English tests you’ve taken in the past. It will feature 75 questions total, all of which are in multiple choice format. The goal of the test will be to assess your capabilities with writing on a critical level. You will have 45 minutes total to complete this section of the exam. Each question on the English test will correspond to one out of five total reading selections. It will be your job to read each of these passages, paying special attention to any underlined parts. These parts of the passage may or may not contain an error, which you will have to spot and fix via your answers to the test’s questions. Knowledge of Language questions will require you to gauge the diction of a sentence and how well the words used in that sentence fit its context and meaning. The question category is the smallest featured on the exam, taking up between 13 and 19 percent of the test’s questions. Production of Writing splits up into two sub-categories: Organization, Unity, and Cohesion and Topic Development. The first category requires you to assess whether the way a sentence is written makes sense, while the second category involves decoding what a passage means and whether the way its written depicts and contributes to its central message properly. This category accounts for anywhere between 29 and 32 percent of the test’s questions. Conventions of Standard English focuses on evaluating your comprehension of grammar and its various rules. This category splits further into three sub-categories: Usage, Punctuation, and Sentence Structure and Formation. This final category makes up more the half of the test’s content—between 51 and 56 percent of its questions, specifically. While this usually is not the case, we encourage you to keep in mind that the English section of the ACT is wholly separate from the Writing section of the ACT, which is optional and requires a full essay response. Your ability to apply to your colleges of choice depends on how well you score on this part of the ACT, as well as the rest of the exam. As such, the idea of taking the ACT may seem intimidating. The good news is you don’t have to face the test on your own. The Mometrix Test Preparation team cares about your success, and we’re here to help you by providing you with the best and most thorough study tools around! 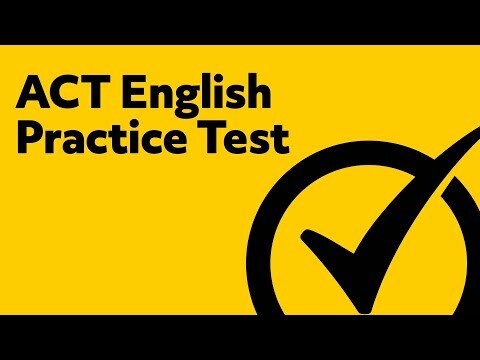 On this page, you can access our official ACT English practice test! Our practice test is tailored specifically to your needs as a prospective ACT test taker. We have closely researched and observed this exam over the years and have learned everything there is about its formatting and contents. Because of this, our practice test will prove to be a fairly accurate example of the real thing, meaning little to no surprises for you in terms of what you’ll find on the exam on test day. We recommend our practice test to anyone interested in learning just how the English section of the ACT will work, and what specific types of content will feature on the exam. You can use our practice test to familiarize yourself with the ACT English test, as well as learn where your weaknesses and strengths may lie with the material. In fact, using the test for the latter reason can actually improve your chances of scoring well on the exam, as you can use your practice test results to fine tune your study approach and devote more of your attention to whichever areas you happen to be weakest in. 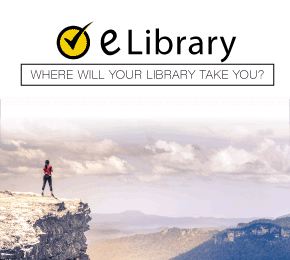 Should you find yourself needing extra help as you study, you can also access the Mometrix ACT English study guide, also featured on this page. Like our ACT practice test English review, this study guide is designed to better familiarize you with the ACT English test’s content and structure. 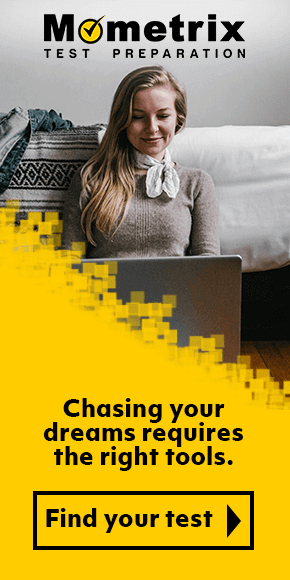 Our study guide will give you tips on how to better focus your study efforts, as well as a better general idea of what to expect from the test. Our study guide and practice test are designed to be paired together, but will also prove effective when used on their own.